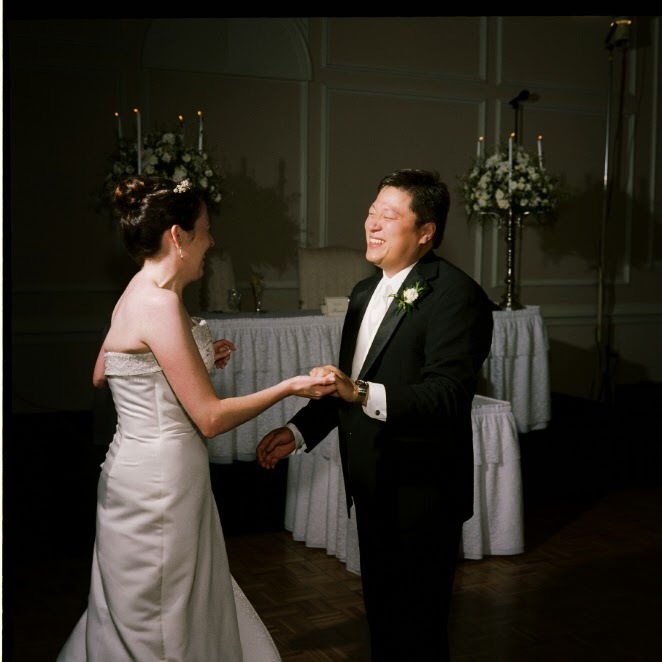 Happy Ten Year Anniversary to my wonderful husband! To the guy who works hard so I can stay home with our children. To the guy who laughs at my jokes. To the guy who apologizes when I say, "What are you laughing about? That wasn't a joke!" To the guy who just jumps in there and folds laundry or empties the dishwasher. To the guy who rubs my back nearly every night until I'm asleep. To the guy who is such a great cook. I mean REALLY good cook. To the guy who has never surprised me with "cooking lessons" for my birthday. To the guy who changed the first diapers of our children and thousands more after that. To the guy who has little nicknames and rituals and things that are just "Daddy" things with each of the children. To the guy who's the first to get teary eyed when he even talks about his children. To the guy who reads my blog and acts so proud of me and compliments me on my writing and jokes that "I find out what's going on in my house from my wife's blog." To the guy who would take a special, out of the way trip JUST to get me dessert - because he knows I can't live without my desserts. To the guy who introduced me to real Chinese food. To the guy who is so smart - and so responsible - and so financially prepared - and so careful. To the guy who balances my spontaneous - free spirited - not so "financially anything" personality. To the guy who says, "What grey hair?" and "You don't need makeup!" with a totally straight face. To the guy who remembers everything I ordered at every restaurant we've ever been to. To the guy who has forgiven me many times. And the guy who isn't above being forgiven. To the guy who wrote his own vows and continues to live up to them. I can't wait to marry this man all over again in a few weeks. We've endured it all - alcoholism, miscarriages, deaths, illness, Rheumatoid Arthritis and Fibromyalgia, infertility and a special needs child. Just one of those could easily fracture a marriage. I'm so proud of all we've come through to get where we are. I would never choose a different partner for this journey. I will love you forever, Ed. Let's keep dancing through life... and "Let's Stay Together." Here's to a Hundred and Ten MORE Years!! You inspire me. When I grow up I want to be just like you. I must know what is "real chinese" food. I think it will be good and I want some. I love that your not afraid to right about your struggles whatever they are. I so enjoy reading you blog. I have been meaning to email you for a few weeks. To give you and update on us. What a truly inspiring love story!!!!! What a beautiful snapshot of the love between the two of you. A very special post for children and grandchildren to read in the years to come. Happy Anniversary! Happy Anniversary to you & Ed! You deserve so much happiness. Ed is your perfect match & one of the most wonderful Fathers ever...a rare find! Sending love to you & your beautiful family. Happy Anniversary! And here's to many many more! 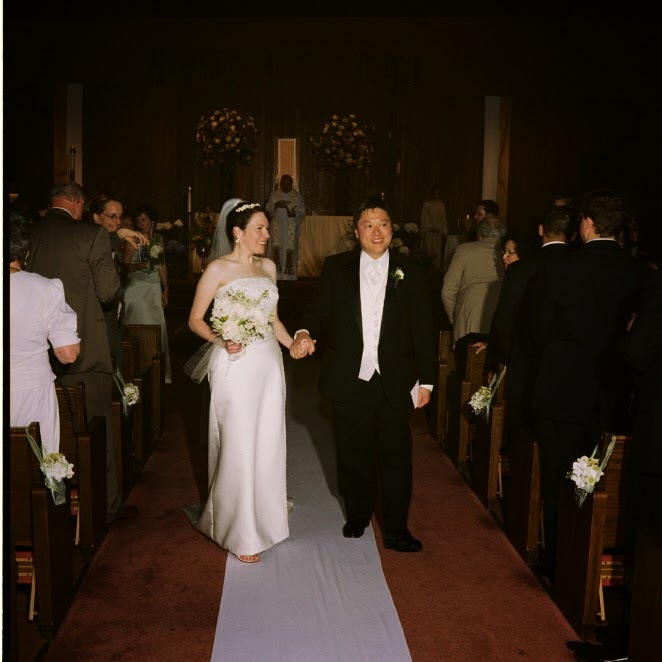 Happy anniversary Kate! You and Ed have a solid, fantastic marriage and your mutual love shines throughout. Here's to many more years of happiness and love for you! Happy Anniversary to you! You are very blessed to have such an amazing husband and beautiful children....Here's to many, many more!